Apologies for the morbid title. I hope we all live long and prosper. Of course I do! While we’re at it, we should eat lots of kale. Or so I’ve been told. 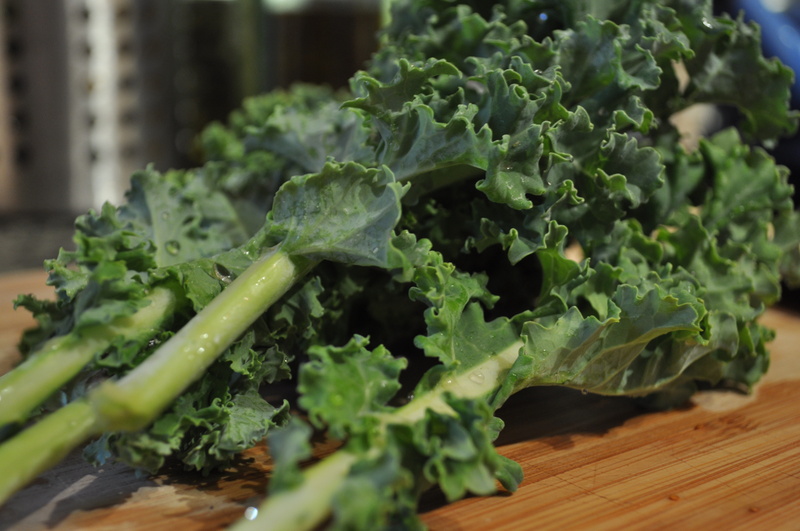 I posted this first kale salad recipe over two years ago and it’s still my favorite. I make it all the time. I bring it to dinner parties and without fail, I’m asked for the recipe at least once. So, I think it’s worthy of a re-post – Happelsauce’s very first, as a matter of fact. I never measure the ingredients so I don’t have exact quantities for the dressing. I encourage you to tinker and find the balance you desire. 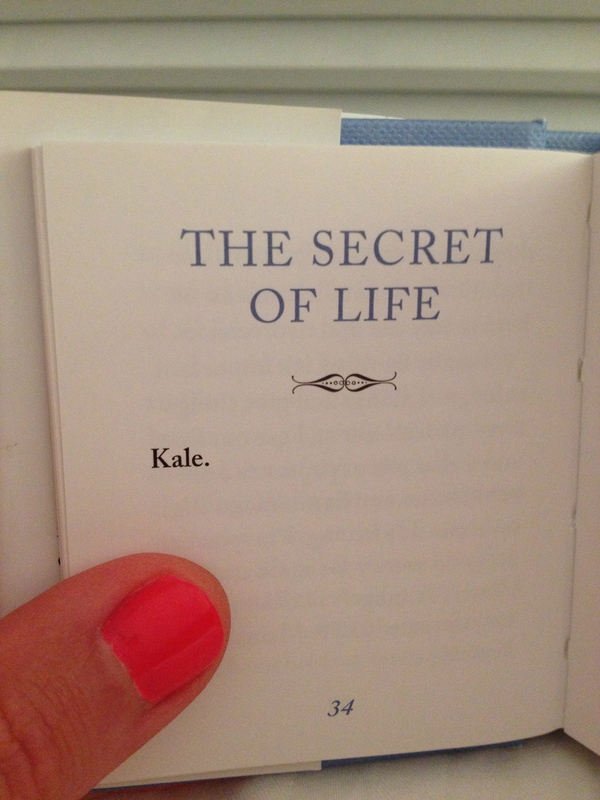 (Sounds like a life lesson I’m still learning…) Also, it is worth noting that raw kale needs love. In this first recipe, it should be kneaded, smushed, or scrunched so it loses its toughness. 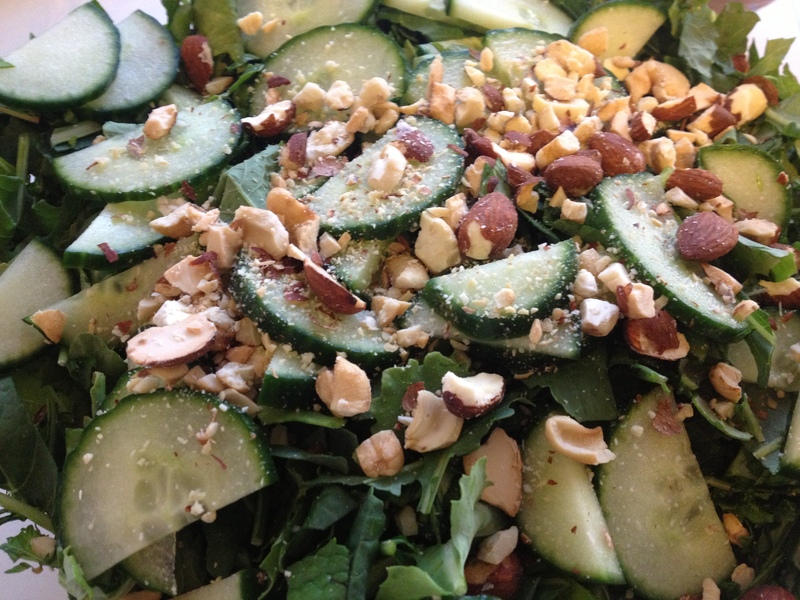 Toss the chopped kale, chopped mint, cucumber and the nuts together. Put the peanut butter, warm water, garlic, rice wine vinegar, pomegranate molasses, soy sauce, minced ginger, sesame oil and red chili flakes into a blender and whirl away at high-speed until everything is smooth. Toss a little more than half of the dressing with the salad. Taste. Decide if it needs more, then dress accordingly. Take note and try today…or at least before you die. Pomegranate molasses!?! I’ve never heard of such a thing – but it all looks phenomenal!